Mom posted this on Facebook yesterday. 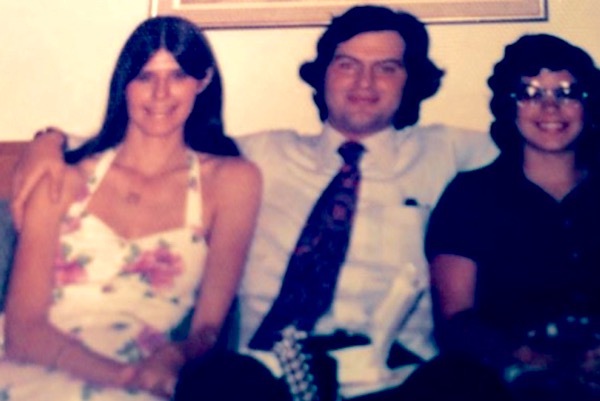 My parents are celebrating their first wedding anniversary; that’s Tish on the far right. I don’t know the circumstances surrounding the photo– were they with her in California or did she come visit them in Tennessee?– but I shall inquire. We’ll definitely be recreating this image in the very near future. This entry was posted in Aunt Tish, California, Family, My Parents, Tennessee. Bookmark the permalink.